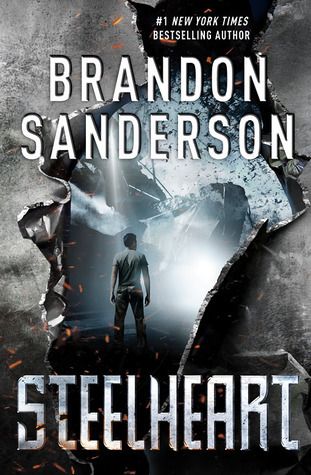 Welcome another post in my new weekly Fandom Reads series! This week, obviously we’re going to be donning our capes and delving into the world of superheroes. What superpower would you want if you were a hero (or a villain, I won’t judge)? If you like superheroes, there are so many comics and books out there that will appeal to you. I wanted to give some recommendations that weren’t related to the specific heroes we might be familiar with like Superman or Spiderman, but rather books that would give you the same feel. Ten years ago, normal men and women were gifted with extraordinary powers – and as we all know, with great power comes great responsibility. Unfortunately, those gifted with abilities didn’t do good with them and now there are others that must fight them to protect the world. Basically superheroes (minus the powers) versus villains. Sometimes the best super powers come from scientific experiments… and sometimes they just create villains. Vicious is the latter, but since it is a book written by V.E. 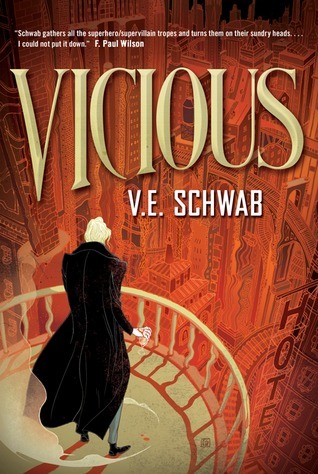 Schwab you know it’s going to be fantastic and you’ll love it if you love the villains. Juliette has the ability to kill someone with a single touch. That premise reminds me of Rogue, from the X-Men and how she fears her powers because she cannot touch anyone. A single touch starts a process where she absorbs the other person’s life force, powers, and memories – and if she doesn’t stop, she can kill them. There’s always a struggle of what to do with her powers and whether she can have normal relationships. If Rogue’s story resonates with you, then you’ll probably enjoy this series. This is another series where people gain special abilities and have to decide what to do with them – be the hero or the villain. 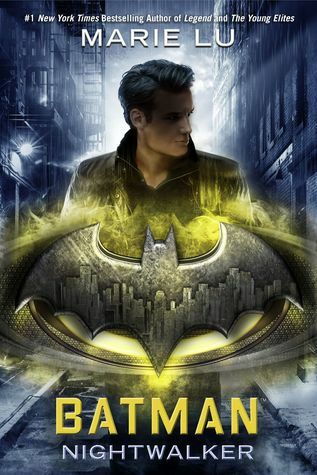 Fans of superheroes will love this series, even if the main character is more of an anti-hero. This is a world with no adults, in which the children gain extraordinary powers. These abilities divide the kids as some use their new found powers to control or bully. One of the most important messages in comics is that you have been given the opportunity to do great good or great evil with your gift, and you have the responsibility to make the world a better place – but not everyone will. This series shows how children/teens would behave in that situation, which is really unique because they haven’t yet developed enough to fully understand their actions and consequences. 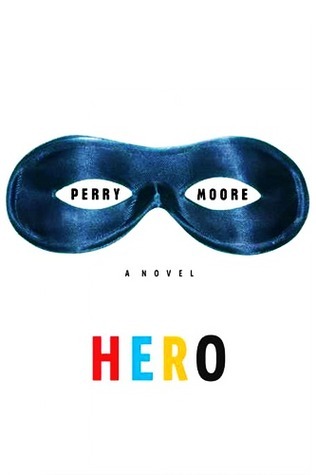 In Hero, we are not only introduced to a group of dysfunctional superheroes who each have their own struggles and issues, but there is some diversity in this book which is fantastic. There is definitely not enough diversity/rep in books, so to see some in a superhero book is nice. He also doesn’t have a perfect life, so that reality helps to ground the more campy heroics of the story. Were you the kid that loved the villains in the stories and not the heroes? Always played the bad guy in imaginary games? 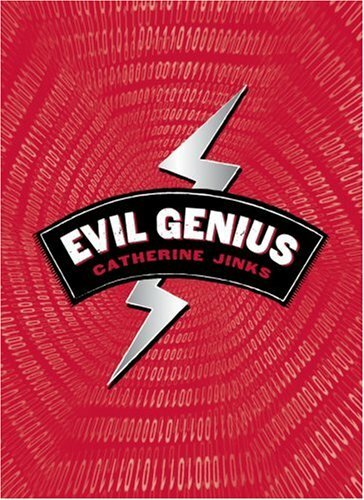 Wanted to delve deeper into the psyche of an evil genius? Then this book is perfect for you, maybe. As with many of the other books that I recommended, it shows the struggle to walk the line between good and evil. What did you guys think of these recommendations? If you love superheroes and I totally missed a book/series that you think would be perfect, let me know! I am really bad at coming up with clues and I’m sorry.. so you’ll just have to randomly guess. What do you think next week’s fandom will be? Shhhhh… hear that? That’s the sound of my TBR growing. These are GREAT suggestions. I’m such a superhero nerd, yet the only of these that was on my radar was Steelheart and Wonder Woman. Thanks for this one! This is a fun post! Adding a bunch of these to my TBR! I never heard of Hero but is sounds fantastic! Oh yay, I’m glad you like my suggestions!! I LOVED the Gone series as a kid!! Those were my favorites, and I remember reading all 6 in a week or something… it was crazy! Those other books also look really good! 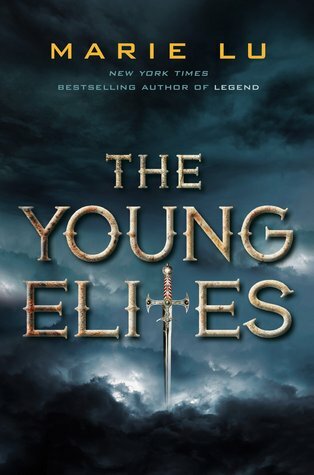 I’ve heard great things about Vicious and The Young Elites and Warbringer, and I hope I can read those soon!! 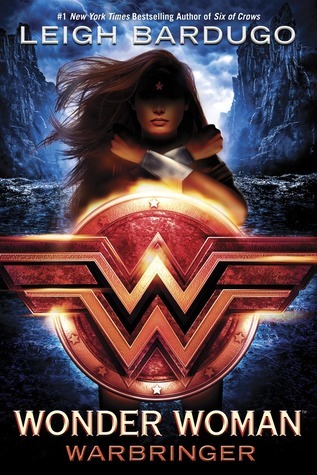 Oh yeah, I cannot wait to read Warbringer! I hope you enjoy the others! 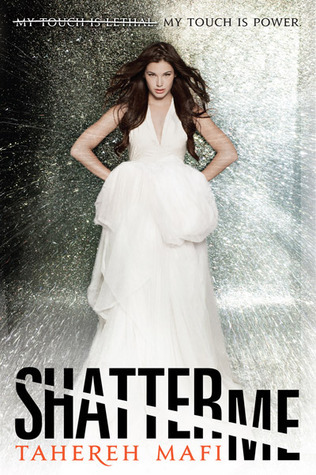 I need to read the second one in the Shatter Me series so badly, it’s been on my TBR for ages! What? The superhero books are going to be a series?! That makes me MORE interested! Yeah! They have those four planned right now, but I bet there will be more and you can beat getting some of the most popular YA writers on board! Jeez! Now I’m going to rush to get my hands on Warbringer!